Soft lithography based tools and devices are emerging as an important means of studying/controlling the interaction between cells and their microenvironment, and also as a means of economising reagent usage in research and diagnostics. There is a strong interest among researchers for the need to miniaturise devices, produce lab-on-chip designs, and for substrate patterning. Polymer microfluidic devices, microstructures and stamp have been recently utilised to explore hitherto unaddressable facets in cell biology, cancer, cell differentiation, stem cell culture, imaging experiments, diagnostics, etc. We provide technical expertise, SU8 photolithography and PDMS based devices currently, and will add more capabilities over the period of three to five years. This facility will serve as a seed point for the introduction of the technology to the broader Indian scientific community. This facility will provide both design as well as manufacturing capabilities to the users in these institutes as well as other research institutes and entrepreneurs in India. More importantly we will engage with the researchers to help in the design, optimisation and troubleshooting of experiments. 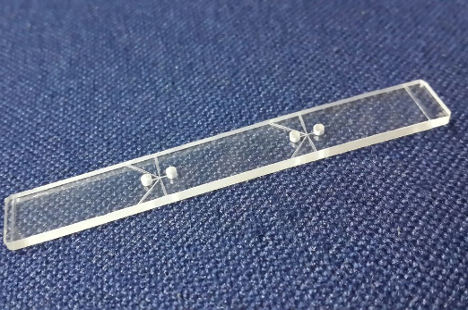 Please contact us for further details and help setting up microfluidics projects.